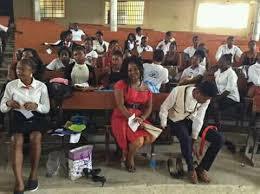 made available to journalists, the West African Examinations Council (WAEC) says it will soon conduct the first series of the West African Senior School certificate Examination (WASSCE) for private candidates. Registration started October 8, to end December 28, 2018. A spokesperson of the examination council, who signed the statement, also said the examination will be conducted between January and February, 2019. After obtaining the registration pin, candidates should log on to www.waeconline.org,” it said. The walk-in candidates’ fee is N25,000. “Candidates must conclude registration within two weeks of first access to the website during registration period,” the statement said. WAEC said candidates are expected to pay a registration fee of N13,950 and a commission of N500 to banks and accredited agents.